If you’re travelling to Australia soon then I’m sure you’ve got spots like Sydney, Byron Bay and Uluru already on your bucket list. But if you’re looking to explore something a bit more unique then why not head to Tropical North Queensland? 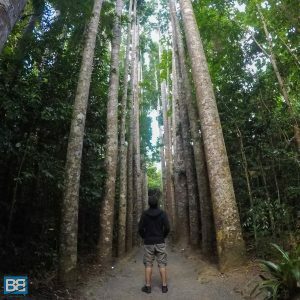 This incredible part of Australia is filled with rainforests, beaches and adventure – there are tonnes of things to do in Tropical North Queensland no matter what your style of travel, budget or time frame! And it’s not just the hubs of Cairns and Port Douglas that are filled with fun – it’s the ideal place to rent a car or campervan and explore more of what Queensland has to offer. So what are my top things to do in Tropical North Queensland? Tropical North Queensland has heaps of rainforest and national park – including the Daintree Rainforest – a UNESCO World Heritage site. But for those who are looking for a truly unique experience head to The Canopy Rainforest Treehouses & Wildlife Sanctuary. Just a 90min drive from Cairns this incredible accommodation is set amongst virgin rainforest and is home to some amazing local wildlife. Meet Rex the wallaby who will bounce out to greet you on arrival (and sneak into your cabin for breakfast! ), cassowary, a whole array of bird life (who are more than happy to eat out of the palm of your hand! ), cheeky possums and even have the chance to spot wild platypus from your balcony! 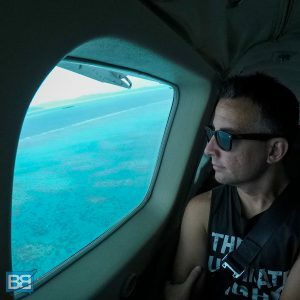 For those who want to get their adrenaline going Mission Beach (just a 2 hour drive down the coast from Cairns) is the place to go as it’s the most popular spot for skydiving in Australia! Stunning views across the Aussie coastline and a guaranteed beach landing make this an incredible jump site and 60 seconds of free fall will certainly get your blood pumping! Mission Beach is a great location for a few days too with stunning beaches – if you’re on a budget check out Absolute Backpackers (one of my personal favourite hostels!) or treat yourself to a night at Castaways Resort & Spa if you want to indulge a bit. Fancy some adrenaline but not too keen on jumping out of a perfectly good plane!? Well why not take to the water and indulge in some white water rafting with the crew of Raging Thunder? Drift along beautiful rivers and soak up the stunning scenery and surrounding rainforest before pitting your skills against the numerous rapids! For those new to white water rafting or not wanting things to get too crazy the Baron River option is the way to go (grades 2-3) or for those who want a bit more adrenaline fuelled chaos the Tully River option offers grades 3-4 and even have an Xtreme Option for those really chasing the full experience. If you’re heading to Mission Beach for skydiving you can also visit the Great Barrier Reef with the awesome crew of Dive Mission Beach. Mission beach is closer to the Barrier Reef than Cairns means less travel time (ideal for those with sea sickness!) 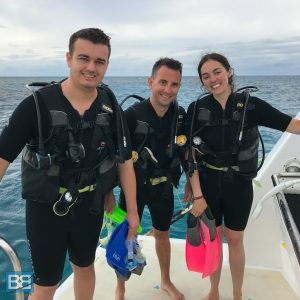 an the dive sites are also much quieter, perfect for both snorkellers, certified divers or for those looking for an introductory scuba dive experience. If you want to fit it into your Cairns plans though I’d recommend the guys from Deep Sea Diver Den, who also offer overnight dive liveaboards on the Barrier Reef is you want more dive time. Epic Views Across The Reef! If you don’t fancy snorkelling or simply want to see this incredible natural structure from a different perspective a scenic flight over the Great Barrier Reef is another bucket list item to add to your Tropical North Queensland trip! With stunning aerial views and photo opportunities across the reef, coastline and beautiful sand cays it’s well worth the splash and there are a range of helicopter and fixed wing flights to choose from departing from Cairns Airport and Marina. Nestled amongst the rainforest of Tropical North Queensland are some incredible waterfalls – but none are quite as famous as Millaa Millaa Waterfalls. This stunning location has been featured as the backdrop for Peter Andres “Mysterious Girl” and also appeared in the Herbal Essences “hair flick” advert – so make sure you’re prepared to brave the waters and recreate it yourself! It’s not just Millaa Millaa though – there is a whole circuit of waterfalls to enjoy, just make sure you have plenty of space on your camera. Yeah, I Ate A Few Bars! If you’re self driving the circuit make sure you hit up Mungalli Creek Dairy for some lunch – this award winning local dairy has some insanely good food. The cheese platter is beyond epic and you’ll want to grab a few slices of homemade cheesecake and some ice coffee for the road! 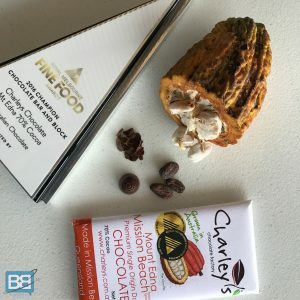 For those heading to Mission Beach head out to Charleys Chocolate factory to appease your sweet tooth. Their award winning chocolate is made on site and it’s the only chocolate company to grow its own cocoa in Australia. They run tours 3 times a week and it’s well worth it – just make sure there is room in your backpack for a few bars to take with you! What happens when a slightly crazy (in a totally good way!) 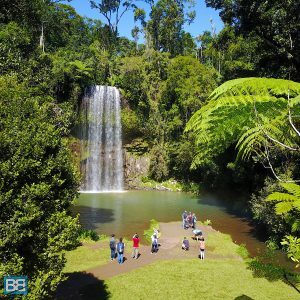 Spaniard discovers an epic waterfall in Tropical North Queensland and buys a chunk of rainforest? Well he builds a castle of course! Yup, Jose Paronella built an incredible castle as a family home, right next to a waterfall and hosted amazing parties, much like a scene straight out of the Great Gatsby! Unfortunately it was devastated by a serious of clones and floods but is now being restored. Paronella Park was one of my favourite stops in Queensland – a hugely unexpected surprise. The castles gardens and ruins look more like the temples of Angkor Wat than somewhere in Australia and it’s a photographers paradise! If you’re a fan of history and beautiful landscapes then you should definitely jump on board the Kuranda Scenic Railway. One of the most scenic rail routes in the world it winds through over 25km of rainforest and mountains past spectacular waterfalls and with awesome views right through to Cairns and the ocean. Given the fact it was started in 1882 and built by hand – using dynamite and pick axes rather than modern equipment it’s an incredible feat of engineering. And if you wanted to splash out a bit more the upgrade to gold Class then includes heaps of snacks and a open bar – a glass of cold wine certainly makes the views even better! 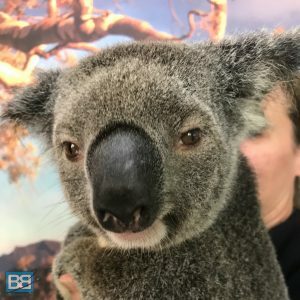 Everyone heading to Australia has to make sure they meet some of the incredible and unique wildlife that calls this places home! And Tropical North Queensland has an abundance of crazy and cute creatures to meet! From the prehistoric looking cassowary to friendly wallabies, kangaroos and of course koalas to the less cuddly snakes and crocodiles – no mater what you find adorable there’s something for everyone! If you’re wanting a guaranteed experience wildlife parks check out spots such as Birdworld Kuranda, The Australian Butterfly Sanctuary and Kuranda Koala Gardens – they’re also the perfect accompanying experience to a day on the scenic railway. With direct flights from Manila in the Philippines to Cairns with Philippines Airlines, Tropical North Queensland is the perfect place to link into your travel plans after Asia – or take advantage of their direct flight from London to Manila if Australia is your sole destination! Any other activities you’d recommend as things to do in Tropical North Queensland?